Whether at home or at your holiday caravan, it’s always nice to make the odd upgrade, no matter how big or small. Last month we asked owners if they’d made any upgrades to their static caravan or holiday lodge and to share their stories. 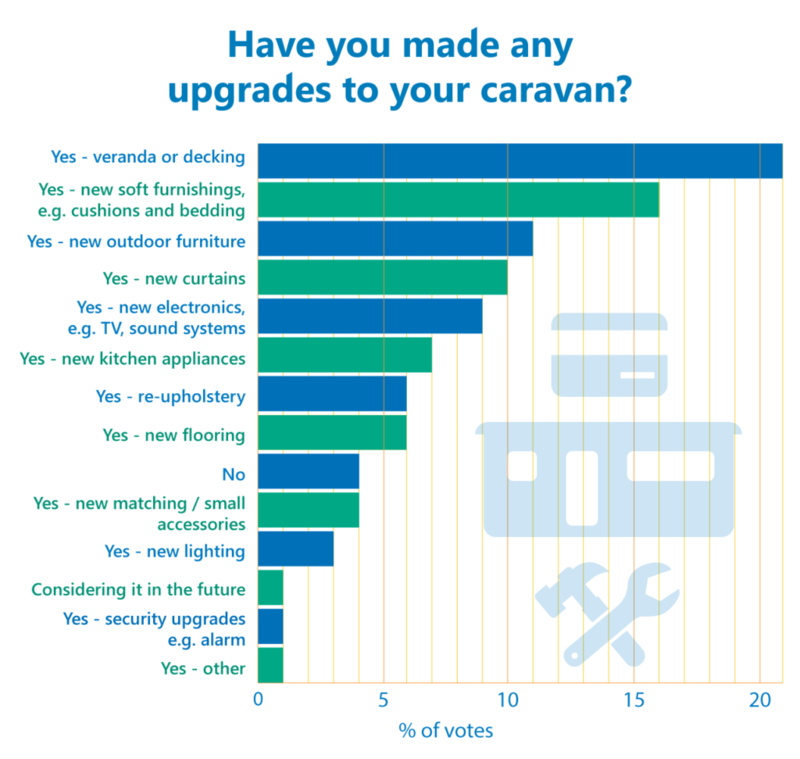 We were amazed to see that ninety-five per cent of voters had carried out some kind of upgrade to their static caravan, with many leaving comments about a whole host of changes. The most popular upgrade was a big ticket item – adding decking or a veranda – with 21 per cent of the votes. But a less costly upgrade got 16 per cent of the votes and that was adding some new soft furnishings, like cushions or bedding. It’s amazing how these items can really bring a room to life, or add a splash of colour! In third place, 11 per cent of voters upgraded their outdoor furniture and 10 per cent changed their static caravan curtains. New electronics and new kitchen appliances came in fifth and sixth place, followed closely by a re-upholster and new flooring. Only four per cent of voters had not carried out any kind of upgrade to their static caravan. 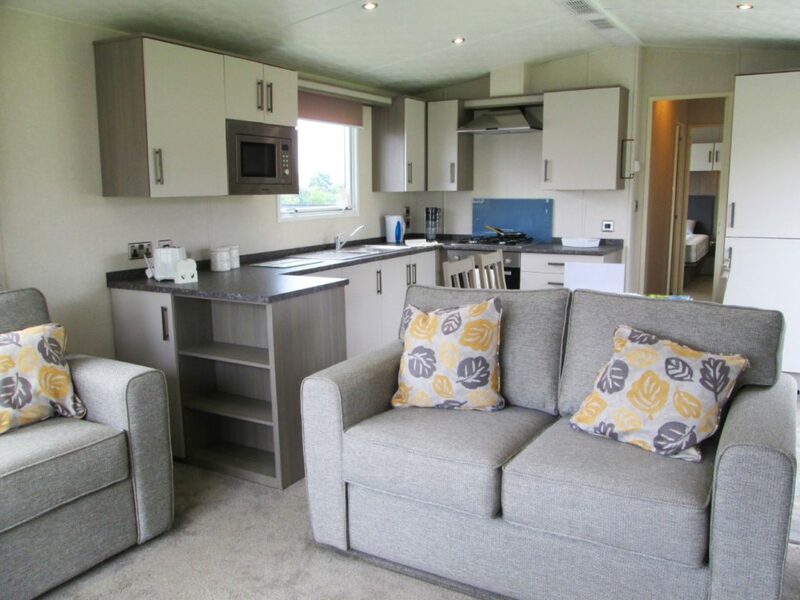 We loved reading about all the different work people have made or had done to their holiday caravan, from automatic drain down systems to remote controlled heating and lighting! Julie Turner told us she’s put in all new matching kitchen items, new curtains throughout, painted the large bedroom, and added new bedroom carpets, as well as decorated the bathroom! 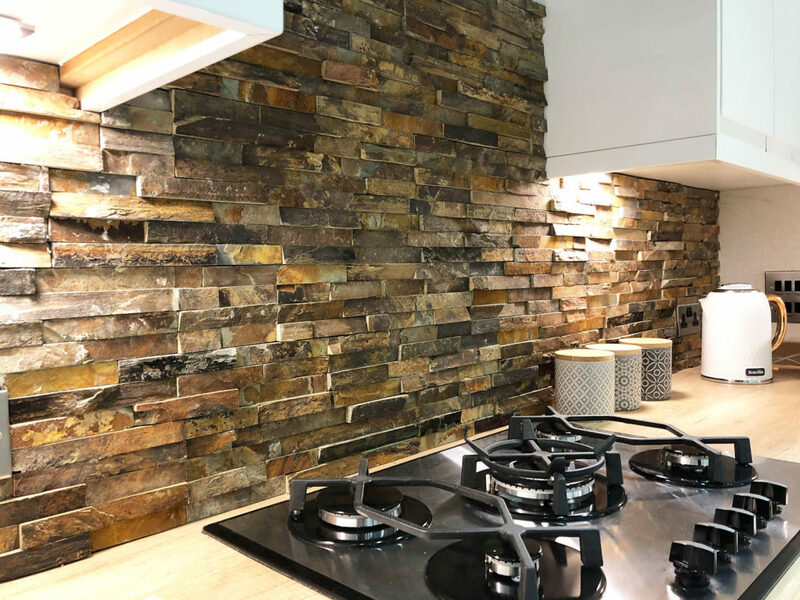 And Sheils has also carried out all manner of upgrades, with new flooring, new decking, new fire and hob, new small kitchen appliances, as well as new bedding, light shades and cushion covers. On the electronics front, Philip Williams has installed the British Gas Hive system to control his caravan heating, lamps and CCTV remotely, via a 4G solution. E Kapp has also replaced tungsten lighting for LED, so their caravan is more energy efficient. And that’s on top of new curtains, flooring, replacing fixed seating with freestanding settees, new beds and bedding, adding built-in storage areas, new patio and furniture and replacing the sink and tap. Vertical blinds have replaced net curtains for Richard Card and Tom Clggie and automatic drain down systems have been fitted by Joe Spark, Robert Smith and Ernie Hallsworth. 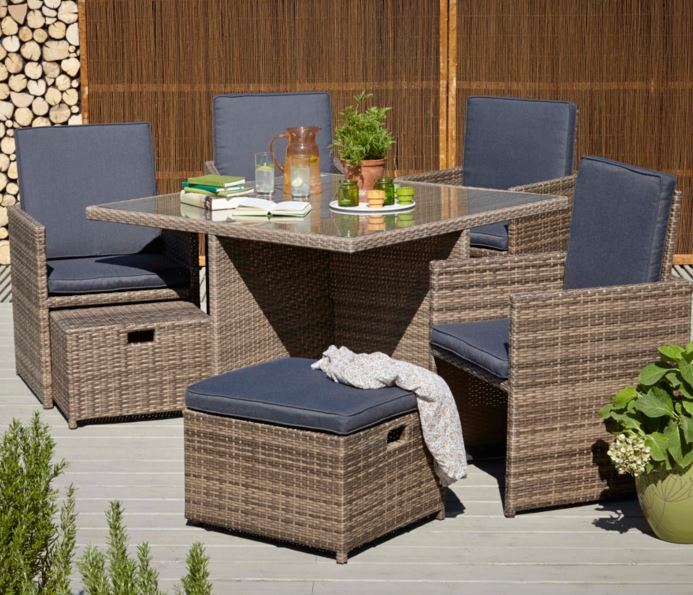 And the list went on for Martin Curran who has made all manner of changes from having all his seats reupholstered to extending his decking and installing LED decking lights. It was great to read about all the changes people have made and how much love they have for their static caravans and lodges. Remember to make sure any modifications you make to your static caravan or lodge don’t affect any warranties and if you’re making significant changes which could increase your sums insured then let your static caravan insurance provider know to make sure you’re adequately covered. Click this link for more information about Leisuredays 5 star Defaqto rated static caravan insurance.